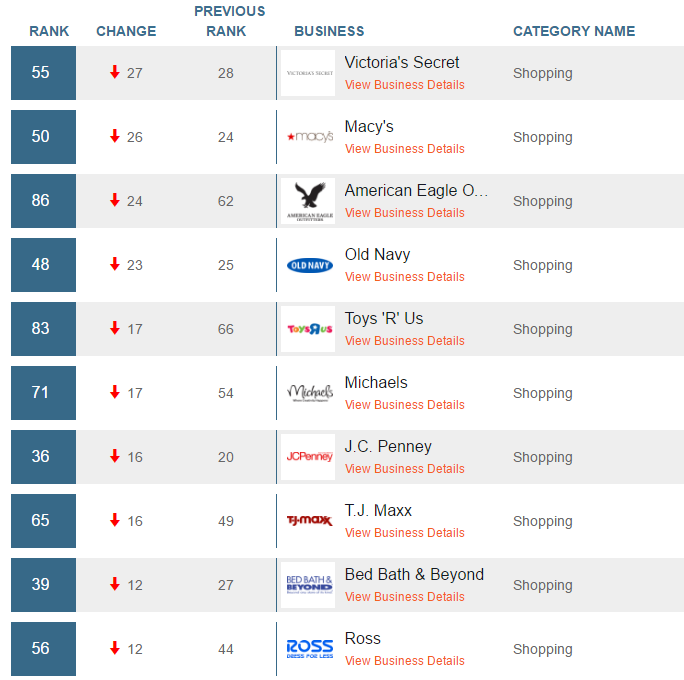 Placed’s Top 100 monthly rankings of most visited businesses has been published for January 2017. The top categories to experience a climb in rankings this month include Automotive, Gas Stations, and QSR’s. 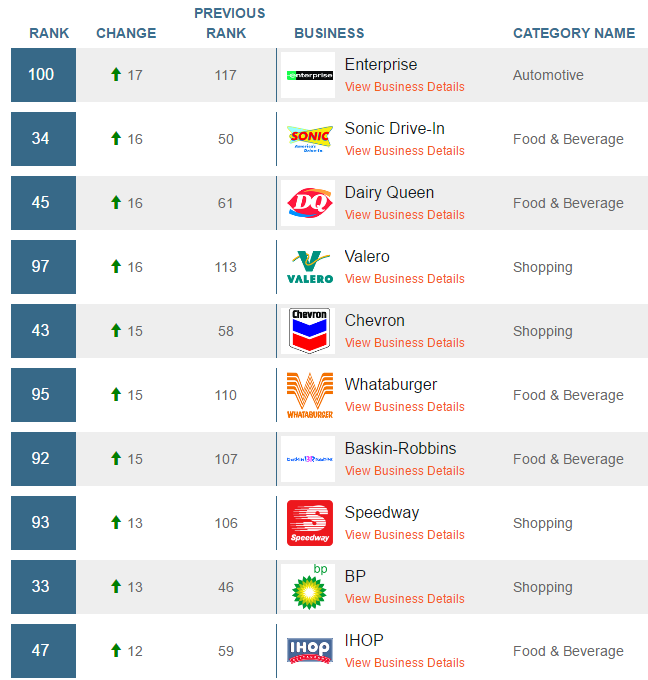 Enterprise rose 17 spots to the 100th most visited business in January, whereas Sonic, Dairy Queen, and Valero each climbed 16 spots. Dairy Queen, in addition to Baskin-Robbins (which increased by 15 ranking points) should be no surprise this month, as January marked the 18th warmest one on record in 123 years in the contiguous US. Chevrolet Dealers and Ford Dealers, which each rose 11 spots and 9 spots respectively, experienced growth in foot traffic as January is tagged a favorable month to buy the most recent models of cars–sales are typically slow, and manufactures increase the price tag as the year goes on. View the full rankings for January 2017 here. This entry was posted in Insights, Placed 100, Placed Insights by Placed. Bookmark the permalink.